This is my first time journaling Avon nail polish. I used Avon polish years and years ago, but this collection was my first recent purchase. I don't have anyone to buy from anymore, so I guess I just haven't really thought about buying more polish. 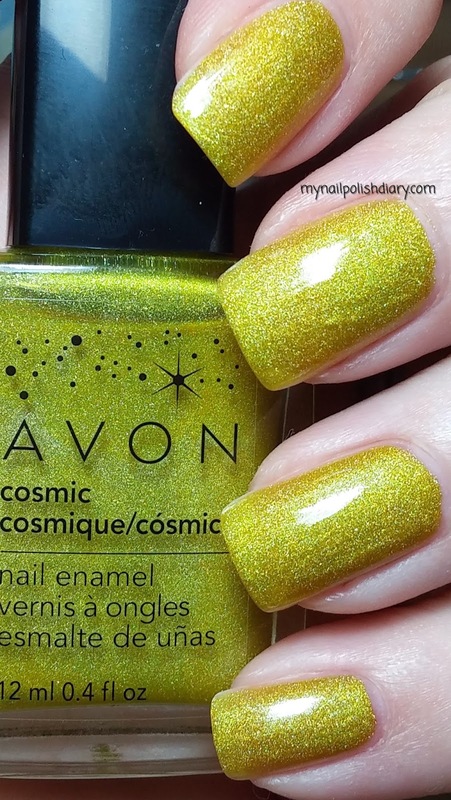 Avon Starlight is a golden yellow holographic from the Cosmic collection released last summer (2013). The holographic effect in this collection is really nice. Scattered is my favorite style of holographic. 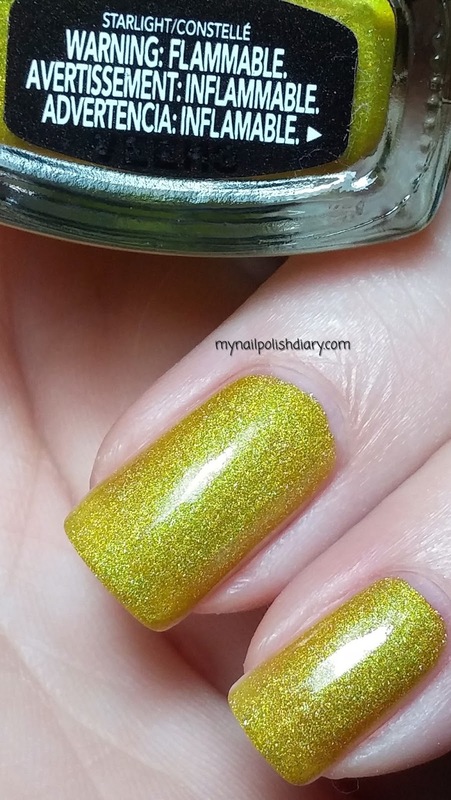 Yellow is a color I rarely wear in clothing, but sort of enjoy wearing for nail polish. This polish was super easy to apply! It's suprisingly shiny for a holographic. I didn't use any top coat and it shines so well. I love that!